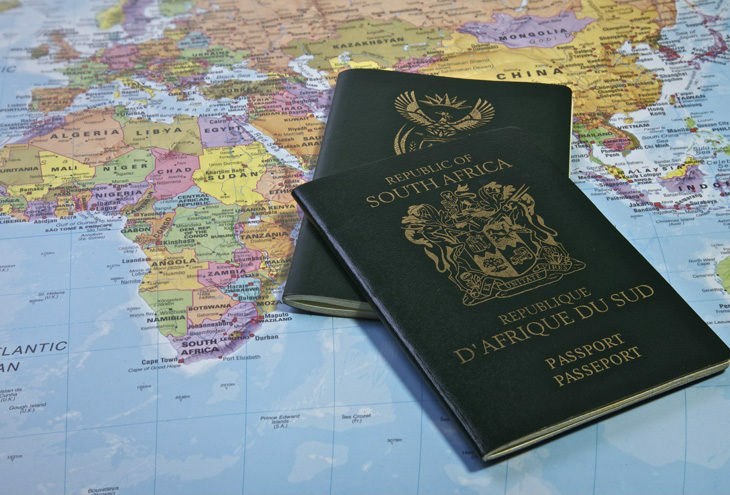 Of the 195 countries in the world, latest information indicates that South Africans travelling with a South African passport may visit 114 countries visa free or get a visa on arrival. It is good to know that our South African passport is welcomed in the majority of the world’s countries. However, in a global environment of constant, and often violent upheaval, visa requirements can change with little or no notice. Often the countries where most new business is conducted have the most challenging travel infrastructure, facilities and bureaucracy. Essentially, a visa is an official document granted by a foreign country, giving you permission to enter that country for a specified period of time. Permission is dependent upon proof that you are who you say you are. Enter biometric visas. The most common biometric data is your fingerprints. The other common and obvious biometric marker is your photograph. In a world flooded with refugees and an ever-present threat of terrorist or criminal cross-border activity, biometric visas may soon also include iris scans and DNA samples. The overriding reason is security. Even unseasoned travellers are aware that threats are not limited to traditional international ‘hot spots’. In recent years, many of the targets of terrorism – Madrid, Belgium, Mumbai, New York, Paris, Istanbul – are world-class, iconic destinations. Therefore, as a corporate traveller, it’s essential to plan ahead and take precautions. The unexpected is ever-present; a ground staff strike at Frankfurt International Airport, a tsunami alert in Hong Kong, a bombing in Brussels. If you’re booking via a travel management company, all your travel arrangements – visas, flights, accommodation, security care hire, etc. are taken care of. A quality travel management company will also proactively alert you to any possible delays in flights for whatever reason and reactively assist in emergencies – whether medical, terrorist, natural disasters, lost documentation, etc. Note that entry requirements change constantly. Does the visa require a yellow fever vaccination? For example, most countries across central Africa – from Senegal in the west to Ethiopia in the east – require a yellow fever vaccination. Is a biometric visa required for a visit to Australia? How long is a country’s visa valid; 90 days, 180 days, or six months? Has a visa now become a mandatory requirement for entry into New Zealand? These and many more questions must be asked and answered by the embassies of countries you’re about to visit, or by the South African Department of Home Affairs. A reputable travel management company will acquire all this information on your behalf. They relieve you of endless paperwork, unplanned spending and bureaucratic pressure. Their expert consultants will also give you time and money-saving advice such as visas for multiple entries into a country; important if your business requires travel over international borders and back. Despite the risks associated with travel, it is essential to remain positive. Internationally there is great energy and momentum by people to keep travel risks in perspective. According to iJet, a world-renowned travel risk management company, the chance of being hurt in an act of terror is one in 12 million. You are three times more likely to be struck by lightning. So always check your alerts, be aware and enjoy great returns. Club Travel Corporate is a proud Partner of the NSBC.